Contemporary clowning with a nod to the great silent clowns he uses mime, slapstick and eccentric dance. 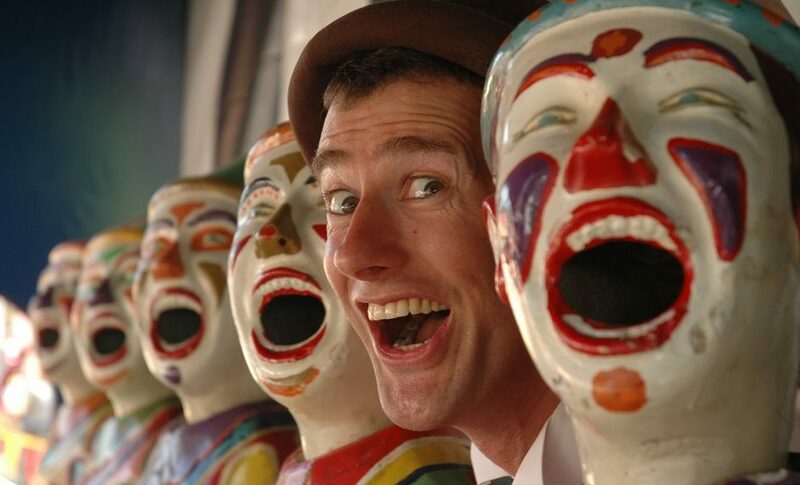 Award winning clown Fraser Hooper has built a huge international following delighting audiences of all ages with his unique brand of contemporary clowning. After a glittering career in menswear and two years on the London cabaret circuit in the popular double act The Hoons, Fraser Hooper decided to go solo. Twenty-four years on he is still touring, playing theaters, comedy galas and clown festivals worldwide. Highlights have included Gwacheon Theatre FestivalKorea, The QE2, The World Buskers Festival New Zealand, The Commonwealth Games in Melbourne, The National TheatreLondon and nearly every major street festival in Europe, Canada and Australasia. With a nod to the great silent clowns he uses mime, audience participation, slapstick and eccentric dance in hilarious shows that delight all ages and receive rave reviews wherever he plays. At present there are no plans to go back to menswear.